The Healthcare Industry has focused mainly on our compact precision gearboxes, spindle gearboxes and actuators with low backlash, low noise level and high quality. 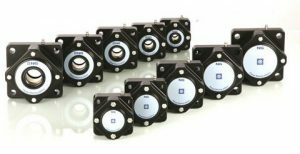 Our own manufactured gearboxes and actuators are typically supplied with motors, brakes and encoders built-on in one combined and fully tested unit. The solutions from BJ-Gear A/S also include the development of larger electromechanical devices of which the gearbox or the actuator is the heart. Order replacement bearings, submit a purchase order or request a quote.